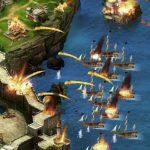 Oceans & Empires is a base management strategy game available for both Android and iOS that places you, the player, in the shoes of a daring captain on a journey to conquer the seven seas. This is a game that a lot of different types of gamers can enjoy, since it offers a lot of variety in terms of gameplay options. The game is part base builder, part social experience, part raiding and PVE as well as part PVP. So there’s something in here for everyone. And we’re here to help you on that journey, as our exclusive Oceans & Empires strategy guide will supply you with a ton of useful tips, tricks and hints to aid you in your quest to become the best captain out there. So let’s get started straight away! Rome wasn’t built in a day, right? Well neither will your Empire, greenhorn. 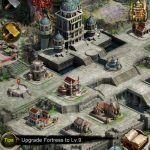 It’s easy to get carried away in this mammoth of a game but always remember that your number one priority should be to expand your empire through buildings and upgrades. In the early stages of the game try focusing on building all the necessary buildings first and always focus on keeping your queue full. Also, you should do the same when it comes to research. Researching provides your empire with some nice passive bonuses so this is something that is welcomed. The last type of queue is the barracks queue. The barracks are quite useful since they provide you with a fresh supply of foot soldiers for your army. Troops usually take a long time to train so try and train as many as you can before going into battle. There are three main types of quests available to the player: Marigold’s quests (Storyline), Challenge quests and Daily quests. Marigold’s quests are the ones you’ll encounter first and should try to complete them whenever you can. They will provide your empire with a lot of useful resources and supplies upon completion. Challenge quests are very similar to Marigold’s in that they offer exclusively gold as reward for completing them instead of resources and supplies. Daily quests are refreshed every 24 hours and are the ones you can complete in the shortest amount of time. You should try to complete as many quests as you can since the rewards are usually worth it. Before getting out there and raiding another player you need to build up your empire in the safest way possible. 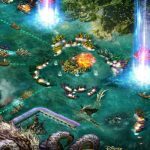 One solution is to fight sea monsters and earn all the rewards that come with defeating them. Defeating a monster will earn you rewards such as XP, gold, resources, etc. But be careful – fighting one can be costly since you need to repair your airship after the encounter. Also, there are no rewards for damaging one and not defeating it – you must completely destroy one to receive the rewards. The game will occasionally drop items that can be redeemed for resources or even gold and XP sometimes. These are called “freebie items”. These freebies are obtain usually through doing quests and missions so if you are doing a lot these make sure you check your inventory for them. You will also receive log-in bonuses just for playing the game. Every little bit helps, right? The game really shines when you start playing it with other players. You can do this by joining an alliance. Once joining it you can do all sorts of neat things like chat with other members, participate and earn tournament rewards, get protection from other players and so on. Playing with others has a lot of perks and virtually no drawbacks so there’s nothing stopping you from joining one today. Gold is the premium currency in this game and is obtainable in several different ways. One easy way to obtain it is to complete the quests in the game, especially the Challenge quests. As the game progresses for your empire you’ll start to notice that the queues take a long time to complete. Way longer than in the early game. You can speed it up by using gold! Don’t feel sorry you spent it, you can always get more through the quests. This tip is for players who are fairly good at this game and have been playing for some time now. The current state of the game doesn’t offer any protection to low level players against invasions from high level players. 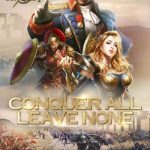 Our advice is to read tip #5 again just to make sure you understand that an alliance is almost a priority if you plan on playing this game longer than a couple of days. You alliance will provide protection and may deter some higher level bullies away from your base. Of course some players will still try and attack you so that’s why you should try and build as many troops as you can so you can protect yourself in these situations. One of the best aspects of the game is the amount of ships it offers to players. There are over a dozen ships, each with its own set of strengths and weaknesses. Some have stronger armor, some are better at carrying huge loads of cargo and some have great firepower! Before embarking on your epic journey make sure you have chosen the right ship for the job and also assigned all the crew members to their appropriate posts. The right ship with the right equipment and sailors will almost surely have an advantage in combat. These would be our Oceans & Empires tips and tricks. We hope you found it useful and that you’ll have a blast playing this great game. If you have any other tips or tricks, please let us know in the comment section below! I’m trying to build walls, there’s ZERO info on how to do it. I have the Pillars up so far. Also, What’s the best strategic placement of Depot, Cannon towers, Buoy and Walls ???? Thanks very much. Roxanne.